Lee Daniels discusses the effect his megahit show ‘Empire’ – which doesn’t shy away from topics like mental illness and homosexuality – has had on hip hop culture, arguing that it’s helped mitigate homophobia. Larry King: You deal with topics still mostly taboo in hip-hop: mental illness, you deal with homosexuality. Has “Empire” had an effect…? Lee Daniels: Doo doo doo doo, doo doo doo doo. Larry King: Has “Empire” had an effect on the hip-hop world? Lee Daniels: I think so, I hope so. I think that it’s broadened and made gays okay. I mean I think that, look, I think that there’s going to be a certain amount of homophobia regardless, period. People are gonna hate me because I am who I am. I don’t care who I am. Excuse me – I don’t care that you care who I am. Larry King: I don’t care, I care who you are as a person. Lee Daniels: And that’s all that matter, that’s all that matters. Larry King: But why is there so much – I’ll admit this was years ago – in Miami they had a law about gays which was really restrictive to housing and everything, and the black community favored that law 98%. And I would have guests on, leaders in the black community, who didn’t want to be compared, that the gays have civil rights like they are. Larry King: How do you explain that? 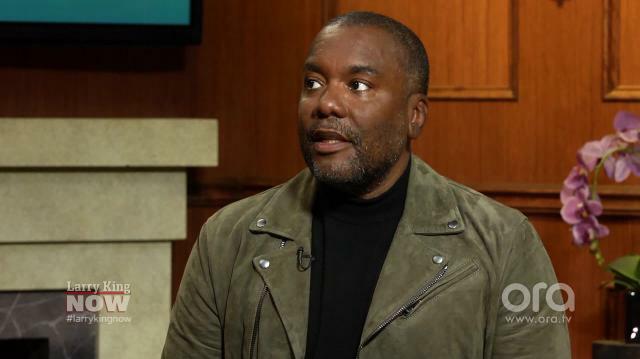 Lee Daniels: I think that it’s a constant struggle, and it’s a constant battle. And it’s one that… look it’s easy to be, I could pull this off in a minute. I could throw on my straight boy swag and fool anybody. But to live in my skin, and to tell the truth, is the most important thing on Earth, to me.